Charming 4 bed, 3 bath home on 2 1/2 acres! Great location on dead end street. Relax on the front porch with seating area and ceiling fan while enjoying the country setting and stunning views. The amply sized eat-in kitchen with granite countertops and tile backsplash is sure to please any chef. Brick fireplace in family room. First-floor full bath. First-floor laundry room! The full basement is ready to be finished and has bathroom rough-in. Huge wood deck overlooking beautiful tree-lined landscape. Huge Three car plus garage with new doors and openers. NEW Furnace - 2015. NEW carpet - 2018. NEW Pella slider - 2015. 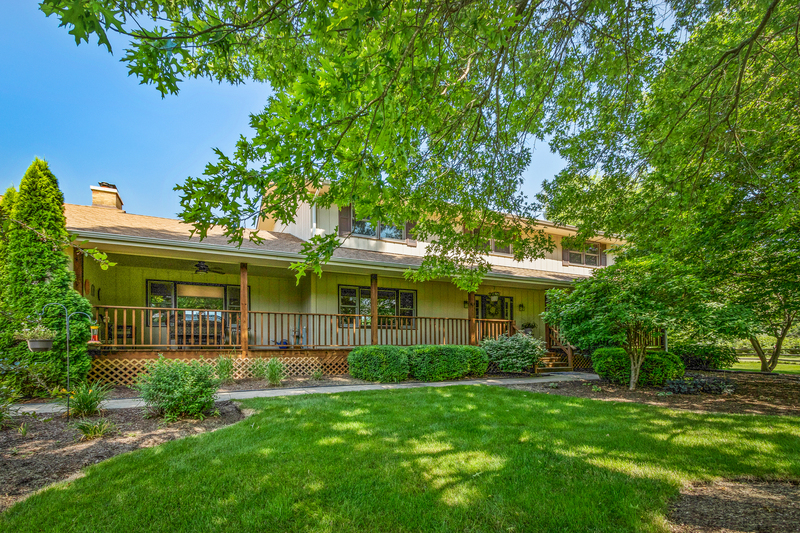 Just minutes from downtown St. Charles shopping, restaurants, and nightlife. Highly acclaimed District 303 schools!